Here are my two Hip Hop challenge cards from Thursday. 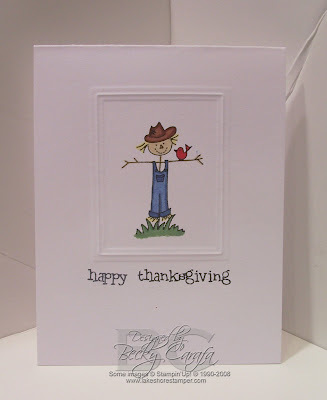 Sweet Cards Becky...love the gingham on your Happy Fall card...and that red bird is sooo very sweet on your happy thanksgiving card! These are adorable! 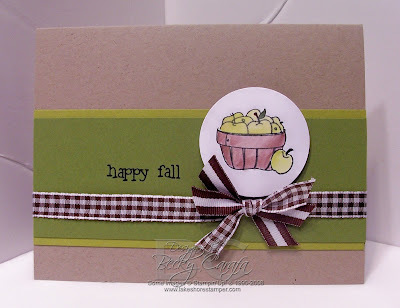 :) I love the embossing you've been doing, and those apples just look yummy!! Adorable cards! Those images are so cute! !